How long after starting to use the Snorewizard does it take effect? The effect is instant although it may take a few days to get used to it. 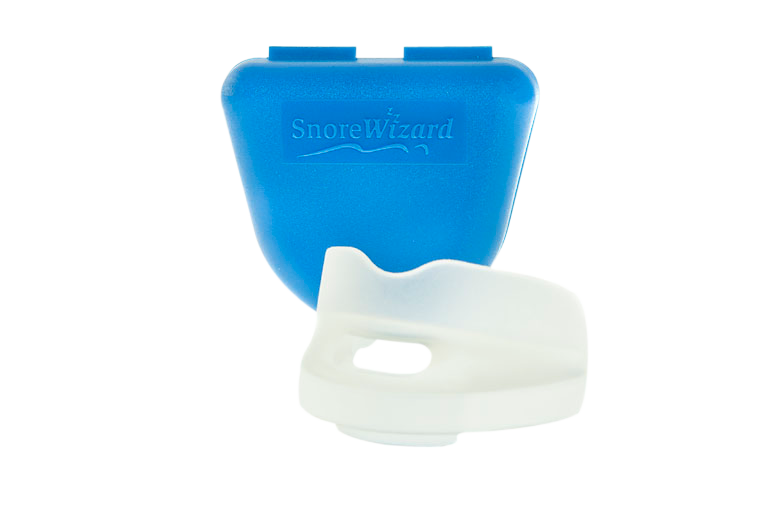 The Snorewizard is ready to use and, unlike many other devices, does not need any fitting. Can I breathe through my mouth while wearing the Snorewizard? Yes. The Snorewizard does have a breathing hole so it will not change the way you breathe at night. Can I use the Snorewizard with dentures? As long as you wear them at night it will not be a problem. No. Mandibular advancement devices like this have been used for many years and it’s the first thing a sleep specialist will advise for snoring and it’s very safe. Will it help with teeth grinding? What guarantees do I have that the Snorewizard works? The sleep clinics recommend the use of the Snorewizard. However anytime within 30 days of your purchase you can return it for a full refund if you find it isn’t working for you. See our money back guarantee for more details. Why should I choose the Snorewizard over other mandibular advancement devices? It is a ready to use mandibular advancement device recommended by Sleep Clinics backed with a money back guarantee. How long will my Snorewizard last? This does depend on how often you use it but it should last a year. It comes with a one year guarantee. What material is the Snorewizard made from and is it safe/medically approved? It is made from a soft feel "food grade plastic" free of latex. It is safe and recommended by the sleep clinics. How do I clean my Snorewizard? Just run it under your tap in the same way as you would with your toothbrush.